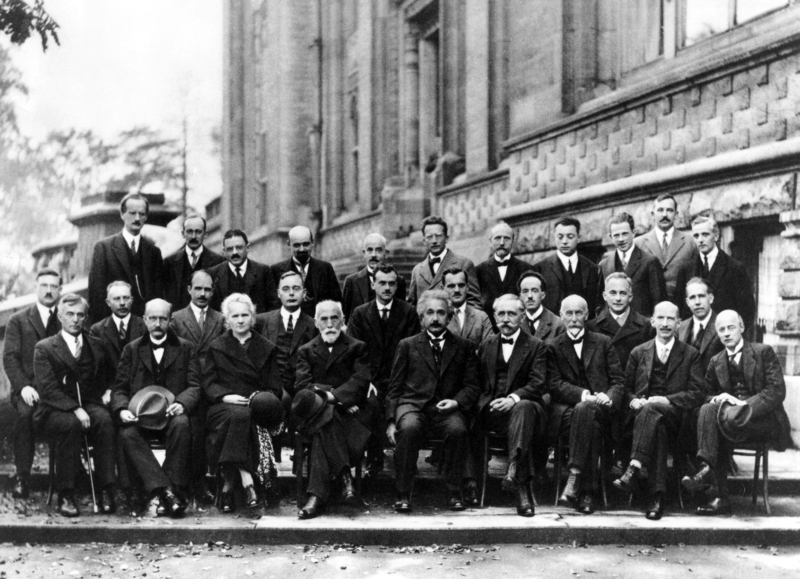 … and so were an astonishing number of the other great physicists of the first half of the twentieth century. 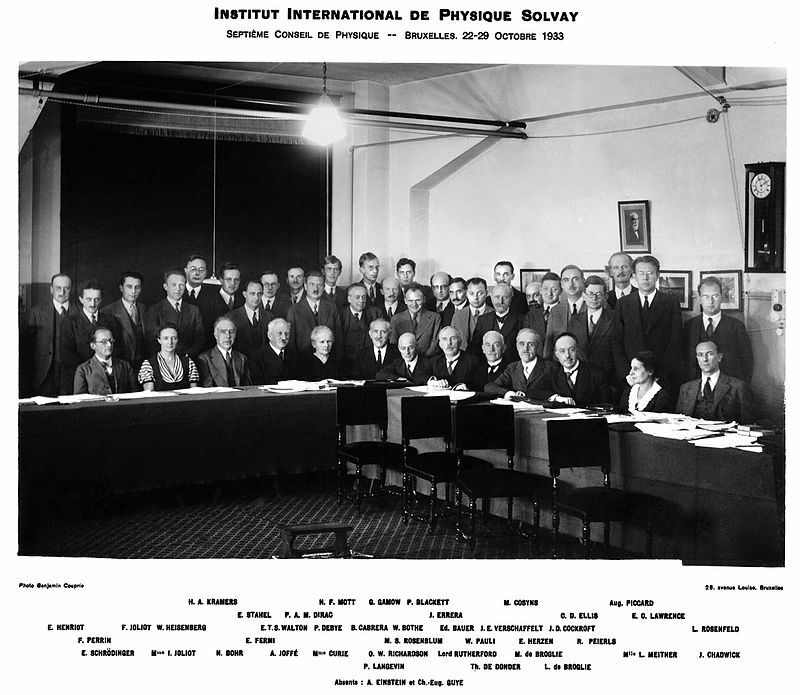 These famous photographs are from the 1927 and 1933 Solvay Physics Conferences, and given the dates, it is interesting to ponder what became of those gathered there, not in terms of their scientific contribution (about which I am not qualified to speak) but how they fared as Europe was engulfed in barbarism. Erwin Schrodinger left Germany in 1933 to work, in the UK, but took up a post in Austria. In 1939, after the Anschluss, Schrödinger was dismissed from the University and fled to Italy. Wolfgang Pauli fled to the United States in 1940. Leon Brillouin resigned from his post in France after the Occupation, and went to the United States. Peter Debye left Germany in early 1940, and became a professor at Cornell. Max Born was suspended from his post in 1933 – he emigrated to Britain, where he took a job at St John’s College, Cambridge. 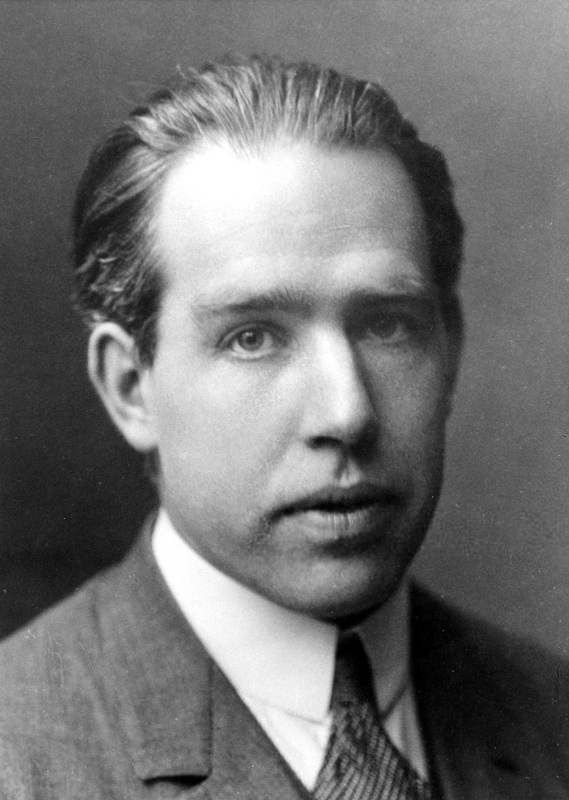 Niels Bohr gave refugees from Nazism temporary jobs at the Institute, provided them with financial support, arranged for them to be awarded fellowships or found them places at various institutions around the world. Denmark was occupied by the Germans, and in 1943, fearing arrest, he fled to Sweden, where he persuaded the King to make public Sweden’s willingness to provide asylum, helping to effect the rescue of many Danish Jews. Albert Einstein was visiting the US when Hitler came to power in 1933 and did not go back to Germany. He spoke at the inaugural public meeting of the Academic Assistance Committee (later CARA). The seventh Conference, in 1933: Seated (left to right): Erwin Schrödinger, Irène Joliot, Niels Henrik David Bohr, Abram Ioffe, Marie Curie, Paul Langevin, Owen Willans Richardson, Lord Ernest Rutherford, Théophile de Donder, Maurice de Broglie, Louis de Broglie, Lise Meitner, James Chadwick. Standing (left to right): Émile Henriot, Francis Perrin, Frédéric Joliot, Werner Heisenberg, Hendrik Anthony Kramers, E. Stahel, Enrico Fermi, Ernest Thomas Sinton Walton, Paul Dirac, Peter Joseph William Debye, Nevill Francis Mott, Blas Cabrera, George Gamow, Walther Bothe, Patrick Blackett, M.S. Rosenblum, Jacques Errera, Ed. Bauer, Wolfgang Pauli, Jules-Émile Verschaffelt, M. Cosyns, E. Herzen, John Douglas Cockcroft, Charles Drummond Ellis, Rudolf Peierls, Auguste Piccard, Ernest O. Lawrence, Léon Rosenfeld. under a fund set up for refugees. Lise Meitner, an Austrian Jew, escaped to the Netherlands, with help from Dutch physicists Dirk Coster and Adriaan Fokker. She was forced to travel under cover to the Dutch border, where Coster persuaded German immigration officers that she had permission to travel to the Netherlands. She later said that she left Germany forever with 10 marks in her purse. From the Netherlands she went on to Stockholm, and worked with Niels Bohr. George Gamow worked at a number of Soviet establishments before deciding to flee Russia because of increased oppression. In 1933 he was suddenly granted permission to attend the Solvay Conference. He attended, with his wife, and arranged to extend their stay. Over the next year, Gamow obtained temporary work at the Curie Institute, University of London and University of Michigan. Ugo Fano left Italy for the US in 1939 because of anti-Semitism. Liviu Librescu was born in 1930 to a Romanian Jewish family, and was deported first to a labour camp and then a ghetto in Focsani. Walter Kohn came to England with the Kindertransport after the annexation of Austria. Both of his parents were killed in the Holocaust. Svein Rosseland fled Norway after the German occupation and went to the US. Otto Stern resigned his post at the University of Hamburg in 1933 and became Professor of Physics at the Carnegie Institute. Guido Beck studied physics in Vienna. 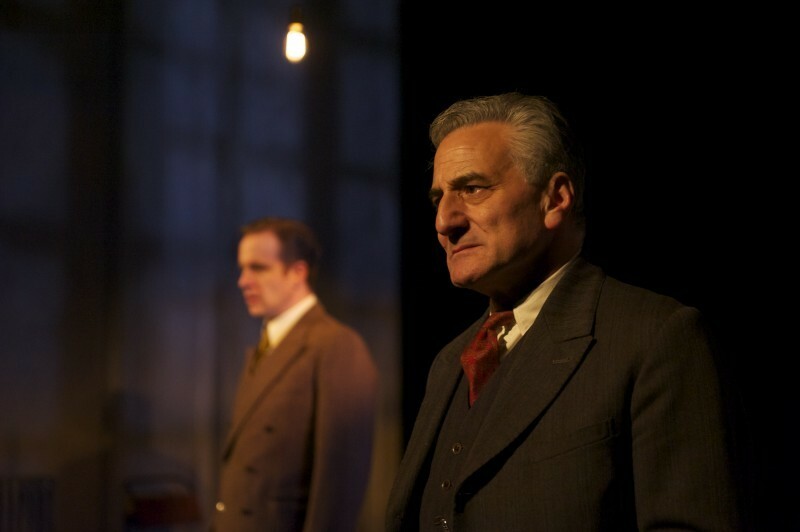 Jewish born, he travelled in the 1930s to avoid persecution in Germany, but was imprisoned in France in 1937 at the start of the war – in 1941 he fled to Portugal and then in 1943 to Argentina. Felix Bloch left Germany immediately after Hitler came to power, and emigrated to work at Stanford University. James Franck left his post in Germany and continued his research in the United States. Otto Robert Frisch left Vienna for London to work at Birkbeck College. Hilde Levi fled Denmark when the round-ups of Jews began, moving to Sweden, where she worked at the Wenner-Gren Institute for Experimental Biology in Stockholm. Edward Teller left Göttingen in 1933 through the aid of the International Rescue Committee, worked in the UK and then in Copenhagen with Niels Bohr, before being invited to the United States in 1935. Arthur von Hippel left Germany in 1933, mainly because his wife was Jewish, but due also to his political stance against the new regime – he was able to secure a position in Turkey, then spent a year in Denmark before moving to the US to work at MIT. Viki Weisskopf was born in Vienna, and worked with Bohr at his institute in Copenhagen – Bohr then helped him find a position in the US.